One of my favorite Warren Buffett quotes is a lesser-known one. It comes from a transcribed conversation he had with University of Maryland MBA students back in 2013, where he was asked about Morningstar's work on economic moats. If you have a castle in capitalism, people are going to try to capture it. You need 2 things – a moat around the castle, and you need a knight in the castle who is trying to widen the moat around the castle. 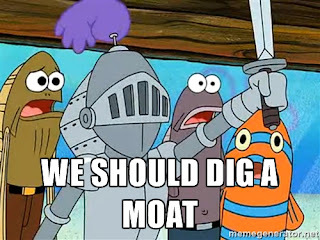 Buffett disciples should be well familiar with his economic moat philosophy, but this was the first time I heard him use the metaphor of a "knight" widening the moat. It's a great concept, isn't it? But this ideal combination of moat + knight is rarer than you might think. First, the presence of a true economic moat is by definition an infrequent occurrence in capitalism. Right off the bat, then, we can eliminate a majority - 75%-plus - of companies from moat + knight contention. Every day, in countless ways, the competitive position of each of our businesses grows either weaker or stronger. If we are delighting customers, eliminating unnecessary costs and improving our products and services, we gain strength. But if we treat customers with indifference or tolerate bloat, our businesses will wither. On a daily basis, the effects of our actions are imperceptible; cumulatively, though, their consequences are enormous. When our long-term competitive position improves as a result of these almost unnoticeable actions, we describe the phenomenon as “widening the moat.” And doing that is essential if we are to have the kind of business we want a decade or two from now. We always, of course, hope to earn more money in the short-term. But when short-term and long-term conflict, widening the moat must take precedence. This is a tall order for any executive to achieve - delight customers, cut costs, all while investing in the business - particularly when that executive has to meet Wall Street's quarterly expectations. Focusing on short-term operational performance is one thing, but if a CEO or CFO is overly concerned about how investors might react to 90 days worth of performance, they aren't concurrently focused on widening the moat. Unfortunately, that eliminates even more companies from moat + knight contention. Third, management must be in it for the long haul and they must love the business. Note that in the above quote, Buffett is talking about building a stronger business decades from now. In stark contrast, there are far too many mercenary executives today with great resumes who are in their roles to maintain the status quo, collect big paychecks, get a car allowance and country club membership, and look the part. Executives with one eye on the door do not make good knights. Or squires for that matter. One of my favorite college basketball players growing up was Xavier University's Brian Grant, who was drafted by the Sacramento Kings in 1994. I remember reading that when Grant was asked how much he wanted to be paid, he said $2.50, "enough for a Dr. Pepper and a bag of chips." The guy just wanted to play basketball at the highest level*. If you find that kind of passion in a CEO or CFO, you might have found yourself a knight. Finally, management must have a knack for capital allocation. I've been fortunate in my career to speak with a lot of different companies and I've learned that the ones who truly "get it" regarding capital allocation are few and far between. Sure, there are plenty of teams that can keep the trains running on time (and plenty who can't!). The ones who have a clear and repeatable process, however, for reinvesting capital (internally or through M&A), returning cash to shareholders, and making their companies tougher to compete with are unusual. The moat + knight combination is a powerful one. Moats + knights are extremely rare. When you think you've found a moat + knight combination trading at a reasonable price, be sure to capitalize on the opportunity. *Despite his low first offer, Grant made $808,000 in 1994. After purchasing our house last year, I went onto the popular real estate site, Zillow, to register as the property's owner. Among other things, this allowed me to control and update the house's data on the site. It also provided me with weekly email updates of the house's "Zestimate" - Zillow's estimated home price forecast. The first few emails showed higher Zestimates for my home. Up $3,000, up $2,000 - "Great!" I thought, "Looks like I paid a good price for the place." A few weeks later, I received an email telling me that the house price had gone down a few thousand dollars. "Maybe I got ripped off," I worried. Realizing the error of my ways, I turned off the weekly emails. After all, this is the home my wife and I intend to own for the next 30-plus years. Why in the world did I care about a weekly price estimate? The fact is that I cared for same reason that so many of us religiously check our stock prices each day. After making a major financial decision in which the asset's future value is uncertain, we seek affirmation that we didn't just make a huge mistake. Market prices provide us with this frequent feedback we desire. Whether or not like the feedback we receive is something different altogether and can lead us to impulsive decisions. It's critical to remember that an analyst upgrade or downgrade, a market plunge, or an earnings "beat" or "miss" this week will have little-to-no impact on the value of our stocks 10, 20, or 30 years from now. What will matter is whether or not the company continues to build intrinsic value over time. Was the company able to defend - and ideally strengthen - its competitive advantages? Did management prudently reinvest capital into high-return projects? Was the company able to introduce new products and continue to delight existing customers? Did management reduce costs and otherwise streamline production without sacrificing product quality? 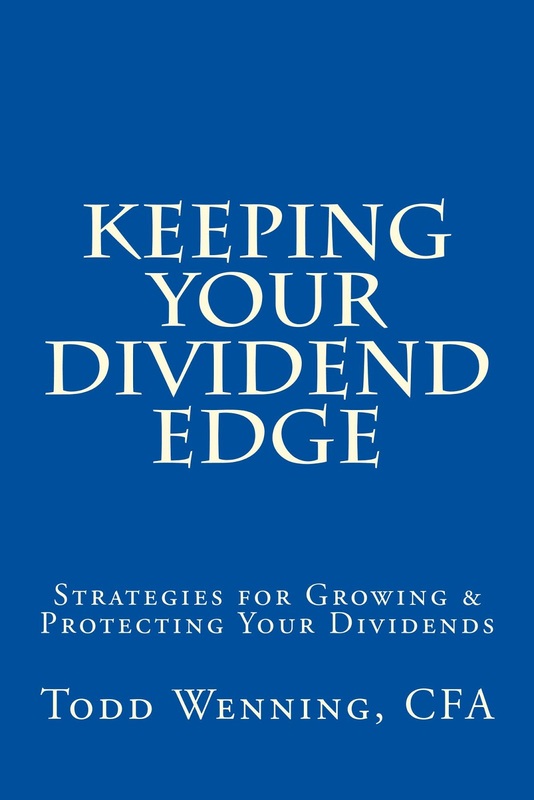 For evidence of a company's progress to these ends, we can look for growth in value-linked metrics like dividends per share, free cash flow per share, book value per share, or "owner earnings." 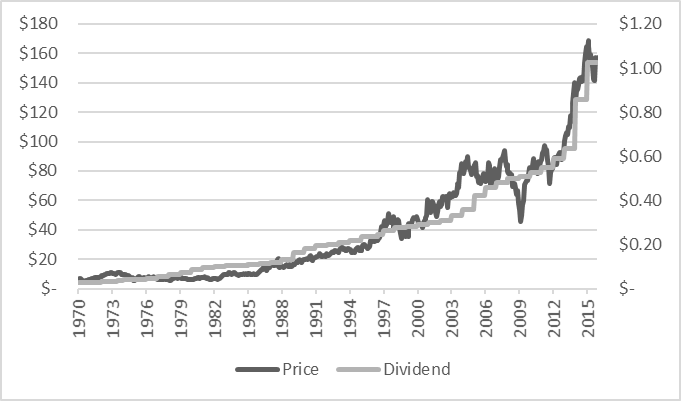 Consider, for example, this chart of 3M's stock price and dividend per share from January 1970 to December 2015. 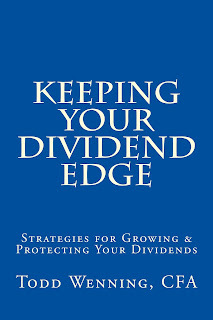 At times, the market price implied a story at great odds with what the dividend growth suggested. While the stock price moved erratically at times, the board continued to express long-term confidence by consistently raising the payout. Someone focused solely on the market price and without consideration of 3M's value creation would have been far less likely to stay the course. The more we focus our attention on value-linked yardsticks and not on short-term market price fluctuations, the more we'll be able to maintain a patient mindset and give ourselves the best chance of realizing high rates of compounding returns. Every discipline has its hall of heroes. Physicists hold up Einstein, Newton, and Hawking in great esteem. Artists revere the works of Picasso, Michelangelo, and Da Vinci. And basketball players grow up imitating Jordan, Bird, and Magic on the playground. It's only natural, then, that as investors we similarly look up to those who've been successful at our craft and seek to learn from them. Study the masters long enough, the thinking goes, and perhaps we might, as Machiavelli put it, "achieve some semblance" of their success. On the other hand, we could be setting ourselves up for massive disappointment if our investment results fail to measure up to our heroes' returns. Last weekend at the Berkshire Hathaway conference in Omaha, I spent a lot of time thinking about this topic, amid the hordes of my fellow Buffett and Munger devotees. What better place to do it? The first thing to recognize is that there's nothing truly original in investing. Warren Buffett looked up to Ben Graham, who studied John Maynard Keynes, who was influenced by Adam Smith, and so on back to the Garden of Eden. As such, there's no shame in having heroes and trying to dissect what produced their success, because it's through this process that we discover our own style. I know with my own writing, I began as a writer trying to write like William F. Buckley, my childhood hero. And if you read my early writing, it was insanely derivative. All I was doing was looking for models and copying them. And out of years of doing that emerges my own style. When I was 12, I didn’t write like I write now. I spent 10 years - 15 years – kind of absorbing the lessons of others and out of that came something reasonably creative. So I would say, to the contrary, when you absorb on a deep level the kind of lessons of your musical elders and betters, in many cases, that’s what makes the next step, the next creative step, possible. By studying the lessons of successful investors and thinking critically about those lessons, we reduce the likelihood of having to re-learn their mistakes and can more quickly recognize favorable patterns. This in turn frees up our minds to integrate our own experiences and talents and develop new variations. Where we can get ourselves into trouble with hero worship is when we don't think critically and develop our own approach. If your aim is to be the next Graham, Buffett, Munger, Lynch, etc. you're setting yourself up for disappointment. Their respective successes are a product of their own circumstances, experiences, natural gifts, and luck that we couldn't hope to replicate even if we tried. The "net net" value opportunities that existed for Ben Graham in the 1930s, for example, are few and far between today. Buffett and Munger - two of the greatest finance minds the world has ever known - not only met each other by chance through a mutual acquaintance and forged a 50 year partnership, but also combined the value lessons of Graham and the quality approach of Philip Fisher to forge a new style of investing. Peter Lynch made a killing buying consumer stocks in the 1980s and 90s when the Baby Boomer generation was in its prime earnings years. Right person, right place, right time. Impossible to replicate. There's a pretty good chance that the next generation of investors won't make annual pilgrimages to your hometown from across the globe as they do with Buffett in Omaha today. This is not a tragedy. By properly studying the masters of investing and reading widely, however, we can form our own styles that best suit our own interests and temperaments. This will put us in a much better position to achieve satisfactory returns than we otherwise would have. That's not a bad deal.